Global warming is big news. Should we be worried? Is global warming real? Is it all caused by man? 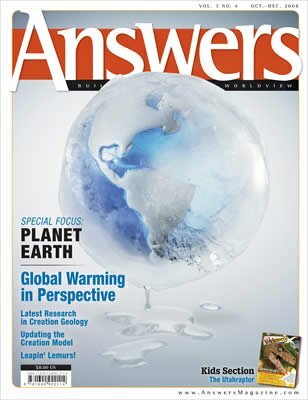 Should we as Christians care about global warming? What should we do about it? Is all this true? Is global warming real? Is it all caused by man? Should we as Christians care about global warming, and if we do care, what should we do about it? We should be concerned with global warming, as well as other environmental issues, simply because God created the universe, the world, and everything in it ( Exodus 20:11 ). It is His creation; He created it directly with a purpose and with man in mind. It did not evolve over billions of years. Man was told right away in the Garden of Eden to take dominion over the earth ( Genesis 1:26–28 ), which means that we are to be stewards of His creation. We are to cultivate and take care of our surroundings, which at that time was the Garden of Eden: “Then the LORD God took the man and put him in the garden of Eden to tend and keep it” ( Genesis 2:15 ). What Should Christians Do about Global Warming? Amidst all the hype, Christians need to first apply 1 Thessalonians 5:21 : “Test all things; hold fast what is good.” We are to hold fast to God’s Word, the Bible, and Jesus as our Lord and Savior. Then we need to examine the evidence carefully. As stewards of God’s creation, it will take time and energy to find out the facts. It is too easy to accept a superficial analysis of a controversial subject, in which case we might learn just enough to get into trouble. No, we need to dig deeper than the superficial level. It is no different than evaluating the creation/evolution issue. At the superficial level, evolutionists can paint a pretty picture. It is only when you dig below the surface that you find out that evolution is unsubstantiated. When we examine the data, what can we say about global warming? This section will evaluate the facts, while the next main section will delve into additional evidence. We will then be able to evaluate global warming. First, carbon dioxide and other greenhouse gases, such as methane, have increased significantly over the past 100 years (Figures 1a, b). These have been measured continuously since the middle of the 20th century and inferred from proxy indicators before that. Figure 1a: Annual global temperature from 1850 to July 2009, from the U.K. Met Office Hadley Centre and the Climate Research Unit at the University of East Anglia. Note that temperatures have been cooling since about 2002. Figure 1b: The increase in carbon dioxide since 1880. Carbon dioxide has been added to the air primarily because of the burning of fossil fuels since the industrial revolution. A secondary source for carbon dioxide is believed to be tropical deforestation. As trees are cut down, they rot and the carbon in the wood is oxidized to carbon dioxide. It is true that forests are being cut down in the tropics, especially in Brazil. However, forests grow back. So, it is not deforestation that counts, but the total amount of forest. When we consider the total amount of forest, the trend is unclear; we cannot be certain if it is increasing or decreasing.6 So the rotting of tropical trees likely is not a significant source of carbon dioxide for the atmosphere. Carbon dioxide is actually a minor gas in the greenhouse effect. The major greenhouse gas is water vapor, which accounts for 95 percent of greenhouse warming.7 The greenhouse effect is actually good. Without these greenhouse gases the earth would be about 60°F cooler, and we would likely all freeze to death. It is theoretically true that the increase in carbon dioxide and other greenhouse gases should cause warmer temperatures. The main question is how much. A second fact is that there are natural causes of climate change. There are short-period natural processes that change the temperature by about a degree over several years. Two of these are a strong volcanic eruption that causes cooler global temperatures and an El Nińo that causes warmer global temperatures. Volcanism causes cooling by the reflection of sunlight back to space from particles trapped in the stratosphere. The amount of carbon dioxide and water vapor given off during volcanism is insignificant over the space and time periods significant to climate change. There are also long-period temperature changes caused by effects on the sun that can be correlated to the number of sunspots: the more sunspots, the warmer the temperature on earth and vice versa. Since sunspots are cool spots, heating on earth seems counter intuitive. But when there are many sunspots, there are also many hot spots, called faculae, that more than make up for the cool spots. Two long period temperature changes recognized are the Medieval Warm Period (MWP) from about 800 to 1200 and the Little Ice Age (LIA) from about 1400 to 1880 (Figure 2). These have been based on historical records and are well correlated to the number of sunspots using proxy data.8 Variations in carbon dioxide levels were not responsible for these changes. Figure 2. Average global temperature for the past 2,000 years showing the Medieval Warm Period (MWP) and the Little Ice Age (LIA). Before about the middle 1800s, there was little change in carbon dioxide to cause these fluctuations. The increase in the amount of sunshine reaching the earth with a large number of sunspots is small. This is why many man-made global warming advocates discount the significance of the sun. It is known that higher sunspot numbers, which cause a stronger solar magnetic field, better shield the earth from cosmic rays. It is possible that fewer cosmic rays result in fewer low clouds that cause warmer surface temperatures and vice versa.10 This hypothesis has been seriously challenged, so only time will tell if the hypothesis stands. Third, although it is commonly claimed that there is a consensus of scientists that blame man for global warming, in actuality there is no consensus at all. Many prominent scientists disagree. Dr. Art Robinson has maintained a website since 1998, signed by around 20,000 scientists, saying that, as of 2009, there is no convincing scientific evidence that greenhouse gases are causing or will cause catastrophic heating of the earth’s atmosphere and disruption of the earth’s climate.11 Of these, over 2,500 are physicists, geophysicists, climatologists, meteorologists, oceanographers, and environmental scientists, who are particularly qualified to evaluate global warming. Fourth, dozens of computer climate simulations have attempted to quantify the relationship between increased carbon dioxide and temperature change. In the simulations, the scientists double carbon dioxide and leave every other variable alone. The resulting temperature changes range from 3°F to 11° F warming, usually by the year 2100. But these simulations are crude, since the computer models cannot accurately simulate the many types of clouds and their effects, solar and infrared radiation processes, ocean processes, ice processes, etc.12 The strengths and weaknesses of computer models need to be understood, but it seems that those who want runaway global warming believe these models without question. It is interesting that nature has partially run the experiment for us. Carbon dioxide has increased a little more than 30 percent since the industrial revolution. Other greenhouse gases, not including water vapor, also have increased about 30 percent in “carbon dioxide equivalency units,” for a total increase of about 60 percent in “carbon dioxide.”13 Global warming is claimed to be 1.2°F (yes, you heard right, the warming has been very small so far), but at least half is from natural causes. So if a 60 percent increase in “carbon dioxide” causes only a 0.6 degree Fahrenheit warming (man’s share), a doubling of carbon dioxide should cause a 1°F warming. The models are therefore 3 to 11 times too sensitive to a doubling of carbon dioxide and should not be believed. Some net benefits are that global warming will save the lives of more people, since many more people die of the cold than die of the heat. For instance, in Europe, seven times as many people die of the cold than die of the heat.16 Other benefits include more plant growth due to higher carbon dioxide levels, aiding farming and ranching; crops able to be grown at higher latitudes; and shipping through ice-free areas of the Arctic Ocean, which will save much fuel and money. At this point it is difficult to tell whether there will be a net benefit or a net harm. Only objective research will determine this. 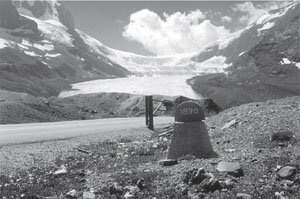 Figure 3: Athabasca Glacier, Canadian Rockies, was near the sign in 1890. It has since melted back to its current location due to global warming. Sixth, if certain environmentalists and politicians get their way, the cost to “fight” global warming will be horrendous, if the attempt is successful and doesn’t produce even worse side effects. Lomborg estimates the cost of fighting global warming at many trillions of dollars.17 Although Lomborg actually believes in the temperature rises suggested by the computer models, he makes a strong case that this money is best spent elsewhere, and that the earth will adapt to warming. In any analysis of such a controversial subject, there is bound to be uncertainty in some variables. Only four of the most important will be evaluated. First, global warming is real. Although some claim there is no global warming or we cannot measure it, the evidence for global warming is compelling. The claimed warming since 1880 is only 1.2°F. But we see the effects of the warming in that practically all glaciers have receded since about 1880 (Figure 3), and the sea ice in the Arctic Ocean has decreased (Figure 4). Figure 4: Minimum sea ice extent mid-September 2009, compared with the 1979 to 2000 average minimum (courtesy of the National Snow and Ice Data Center). However, the amount of sea ice has recovered 15 percent over 2008, which was about 10 percent greater than the record low in 2007, possibly due to global cooling as shown in Figure 1a. The recent global warming is not caused by the earth breaking out of the Ice Age18 about 4,000 years ago, because the atmosphere responds very fast to changes that affect climate. The change in seasons is one example of how fast the temperature can change when the angle of the sun changes. The earth has been more or less in steady state since the end of the Ice Age. This means that global warming since 1880 may be only about 0.8°F, which is closer to the satellite and weather balloon data of the lower atmosphere. Figure 5: The oxygen isotope ratio from bedrock to the top of the GISP2 ice core at Summit on the Greenland Ice Sheet (plot courtesy of Dr. Larry Vardiman). The oxygen isotope ratio is generally proportional to temperature with cooler temperatures to the left. Third, some scientists have concluded that the atmosphere goes through thresholds to different climatic states. They believe that although our climate has been steady, global warming may bring the temperature up to the “tipping point” that will cause a shift to a much different climate, possibly leading to an ice age. The threshold idea is based on Greenland ice cores showing large, abrupt changes in temperature during the Ice Age portion (Figure 5). Some suggest that global warming will halt the Gulf Stream that transports warm water into the high North Atlantic Ocean. Temperatures then plummet in Europe and an ice age can occur. This is the basis of the movie The Day After Tomorrow,21 taken from the preposterous book The Coming Global Superstorm. 22 Despite Hollywood fantasy, some scientists believe that such a scenario is possible over a time frame of a decade or two. In the face of claims that man is causing disastrous global warming, an objective look at the facts and additional evidence show otherwise. Natural processes on the sun account for over 50 percent of the claimed 1.2°F global warming, which is likely too warm. Since the climate simulations greatly exaggerate the temperature rise from an increase in carbon dioxide, these models cannot be trusted. Thus, man is likely responsible for only about 0.5°F warming—miniscule and likely impossible to mitigate. What is really needed is unbiased research in climate change. Climate disaster is not just around the corner; we have sufficient time for careful research. I thank Drs. Larry Vardiman and Jason Lisle for reviewing the manuscript and offering valuable improvements. Previous Chapter Was the Flood of Noah Global or Local in Extent? 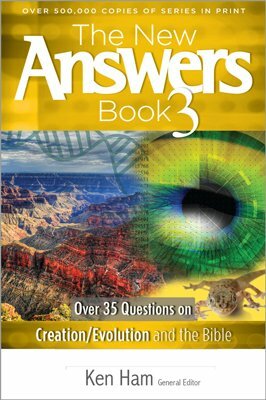 Next Chapter Did Bible Authors Believe in a Literal Genesis? Al Gore, An Inconvenient Truth: The Planetary Emergency of Global Warming and What We Can Do About It (New York, NY: Rodale Press, 2006). B. Lomborg, Cool It: The Skeptical Environmentalist’s Guide to Global Warming (New York, NY: Alfred A. Knopf, 2007), p. 41. N. Shute, “The Weather Turns Wild,” U.S. News & World Report, February 5, 2001, p. 44–52. 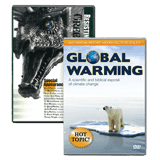 J. Pena and R. Vogel, eds., Global Warming: A Scientific and Biblical Exposé of Climate Change (DVD), Coral Ridge Ministries and Answers in Genesis, 2008; L. Vardiman, Some Like It Hot (Dallas, TX: Institute for Creation Research, 2009); M.J. Oard, “Global Warming: Examine the Issue Carefully,” Answers, October–December 2006, p. 24–26. ZFacts, “Evidence that CO2 Is Cause,” www.zfacts.com/p/226.html. A. Granger, “Difficulties in Tracking the Long-term Global Trend in Tropical Forest Area,” Proceedings of the National Academy of Science 105 no. 2 (2008): 818–823. P.J. Michaels and R.C. Balling Jr., The Satanic Gases: Clearing the Air About Global Warming (Washington, D.: Cato Institute, 2000), p. 25–28. C. Loehle and J.H. McCulloch, “Correction to a 2000-year Global Temperature Reconstruction Based on Non-tree Ring Proxies,” Energy & Environment 19 no. 1 (2008): 93–100. N. Scafetta and B. West, “Is Climate Sensitive to Solar Variability?” Physics Today 61 no. 3 (2008): 50–51. H. Svensmark, “Cosmoclimatology: A New Theory Emerges,” Astronomy and Geophysics 48 no. 1 (2007): 18–24; L. Vardiman, “A New Theory of Climate Change,” Acts & Facts 37 no. 11 (2008): 10–12. Global Warming Petition Project, www.petitionproject.org. Michaels and Balling, The Satanic Gases: Clearing the Air About Global Warming, p. 55–73. M.J. Oard, movie review: “Arctic Tale—Exaggerating the Effects of Global Warming,” www.answersingenesis.org/articles/aid/v2/n1/arctic-tale. Lomborg, Cool It: The Skeptical Environmentalist’s Guide to Global Warming, p. 3–9. M.J. Oard, Frozen In Time: The Woolly Mammoth, the Ice Age, and the Biblical Key to Their Secrets (Green Forest, AR: Master Books, 2004). R.C. Balling Jr., “Observational Surface Temperature Records Versus Model Predictions,” in P.J. Michaels, ed., Shattered Consensus: The True State of Global Warming (New York, NY: Rowman & Littlefield Publishers, Inc, 2005), p. 67. J. Christy, “Temperature Changes in the Bulk of the Atmosphere,” in P.J. Michaels, ed., Shattered Consensus: The True State of Global Warming (New York, NY: Rowman & Littlefield Publishers, Inc, 2005), p. 72–105. M.J. Oard, “The Greenhouse Warming Hype of the Movie The Day After Tomorrow,” Acts & Facts Impact, 373 (Dallas, TX: Institute for Creation Research, 2004). A. Bell and W. Strieber, The Coming Global Superstorm (New York, NY: Pocket Books, 2000). M.J. Oard, The Frozen Record: Examining the Ice Core History of the Greenland and Antarctic Ice Sheets (Dallas, TX: Institute for Creation Research, 2005). P.J. Michaels, The Predictable Distortion of Global Warming by Scientists, Politicians, and the Media (Washington DC: CATO Institute, 2004).